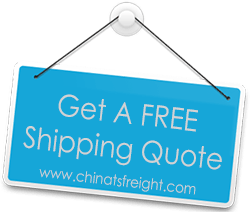 Looking for a safe, reliable and efficient way to get cargo import from China to Colombia? At TS Freight, we offer you completely customized and perfectly integrated logistics and transportation packages for all your shipping to Colombia needs, and we do it at the best costs possible. When looking for cargo shipping to Colombia, one of the most important factors to keep in mind is reliability. By choosing an excellent service provider for your freight shipping, be it via sea or air, you not only ascertain that your cargo reaches on time, but also assure that your time and money are saved because your logistics partner will undertake all the smaller jobs that make international shipping such a lengthy and cumbersome process. inventory for the same, post which they will arrange for all safe loading of cargo on to containers while also handling all necessary documentation and custom clearance duties. Once the cargo reaches Columbia, our staff will arrange for unloading, check the condition of your cargo and then arrange for a timely delivery that ensures the whole process is as streamlined and cost effective as can be for our clients. We ship cargo to Columbia from all the major ports in China including Tianjin, Dalian, Shenzhen, Guangzhou, Shanghai, Xiamen, Ningbo, Hong Kong etc and will arrange for delivery anywhere in Columbia including Cali, Bogota, Barranquilla, Cartagena, Medellin, Pereira, Manizales, San Andrés and more.